Out of all the different kinds of social media, one that is most effective for freelance writing is LinkedIn. The good thing about this is that it is all about business. There is nobody online who puts a casual username, adds a photo of themselves half naked with a bottle of wine or puts their bio as ‘wants to party’ and ‘likes to watch Desperate Housewives’. People on LinkedIn are very smart and want to uplift their careers. Nobody is playing Farmville here and the audience is interested in serious work. So getting freelance jobs here is definitely a better idea than looking for it on anywhere else like Facebook or Twitter. And if you are really worried about your LinkedIn freelance profile, then this article would be perfect for you. The following mentioned are few best profile tips on LinkedIn for freelancers and contractors. 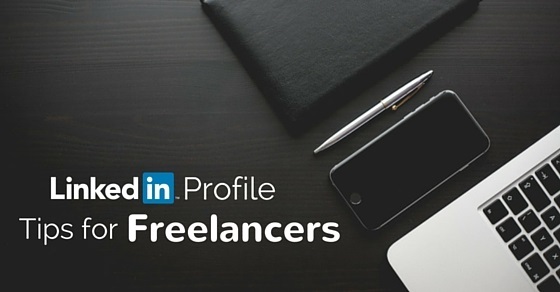 How to Create Profiles on LinkedIn for Freelancers and Contractors? 1. What do you want from your profile? Before we start off with what you should do as a freelancer, here is a quick idea on what you are expecting from your profile. First of all, you want people to be able to find you on LinkedIn. In other words, your profile should be very search optimized. From the beginning of your resume to the end of it, you want to attract people and make them like your work. Your profile should be solid enough with all your skills mentioned in details so that recruiters will want to hire you. Your experiences should also be mentioned in very brief. You should begin by filling up your profile and stuffing it with those words and keywords that are useful. Words such as copywriter, copyeditor, freelance writer, freelance editor, award winning blogger are always helpful. Ever wondered why these words really matter? That is because companies and publications that are looking for a freelance writer will search by keywords for the type they are hoping to find. Your LinkedIn profile will convert regular people into buyers. Plus people always like to hang out in groups but by our suggestion, the most efficient way to get people is by using the right kind of keywords. There are several LinkedIn profiles that would like to meet you in person. If you are keen on small business or clients, then this can definitely help you. One of the smartest ways in which you can make social media work very well is by boosting your connections by going offline. If you do have a location based LI group, then the meeting in no way is live so you should try to begin a live event that does serve a host at the same time. The ideal way in which you can get contacted by the best recruiters is by showing people the way in which you can be connected to. If you don’t have a profile that is upgraded, then sending and receiving messages can get a little difficult. Just by making sure that your contact info has been filled out, you will be able to remove all the guesswork and take down some of the biggest obstacles. You should be very straight forward with the information you are giving. You may also personalize your links if you like. Not many people use it but if you do, that will definitely help you. A lot of people have benefited by doing this and maybe you will as well if you try. Answer some questions on your LinkedIn’s main answers tab. This will be another place on the platform for you to attract more people, power up your profile views and show off some of your skills. Be as specific as you can and try to use accomplishments while reading. It makes things much easier for the recruiters. For example, you have a team of your own where you handle designers and copywriters. They have been a part of your group for the past three years. You should write this point in very brief and still make it sound interesting. Grabbing more attention really works. For this, you have to make sure your summary is powerful and has the best opening sentence. Also, you should mention some bluechip companies you have worked for in the past and also speak about the unique qualities in you which make you better than the rest. Always remember that being unique always helps. Showing how passionate you are about the job will surely help you land the best freelance gig. Think about all the things that you enjoy doing and post them online. It will surely work. While trying to write your summary, do not forget your communication skills. They should be on point as well. Clients always feel free to work with those freelancers who are communicative and write with much clarity. Finally, decide which clients you would like to attract and address the summary to them only. Your clients are always in search of the best. So if you want to attract the good ones and make some business out of them, make sure you are on your best behavior. Wondering what we are talking about? Here are some points that should help! You have to be a professional if you want to attract more clients. Your LinkedIn updates should never be casual. You should show some kind of consistency and display your social media etiquette. Also you don’t have to be afraid of saying things like you are professional and worth the job. Just make sure what you are saying makes sense, sounds professional and makes a good impression on the client. LinkedIn gives you the opportunity to participate and be a part of several groups. You may join up to 50 communities online. So don’t waste any time and become a part of some that are relevant and that matter. Not only are groups the best way to show what you are capable of but also gives you the chance to meet individuals who are just like you and have the shared interests. 3. Who has seen your profile? There are several people who do not understand that you can click on this small sidebar widget and get a lot more information about who is looking into your Linkedin profile. Yes, if you are only on the free level, sometimes it will not show you all that much- some of the information will be kept as a secret. This tip will take you a long way. It will help you stay in the loop and also let you stay in touch with all the alumni members. It is also a very good career opportunity if you think of it. It is important to follow the best kind of people. This is a lot more than just networking personally. Following the best people will keep you updated about the industry and influence you as well. Nothing will create a better impression of yourself than recommendation and a couple of testimonials. It creates a good impression and gets you plenty of views. The recruiters will not think twice before hiring you because you already have pleased your other clients. So make sure to ask your ex-clients for a written recommendation for LinkedIn. It always helps and does wonders to your profile. Being a professional and well known social media, LinkedIn is useful for all those who are serious about getting freelancer jobs. Even if you want to work as a freelancer, LinkedIn would be absolutely perfect. If you have followed some of our tips and suggestions enlisted in this post on LinkedIn for freelancers profile, you will surely find the best for yourself in the future. On that note, good luck and do not forget to give us some honest feedback about this post and whether it has helped you or not.